Exclamania! 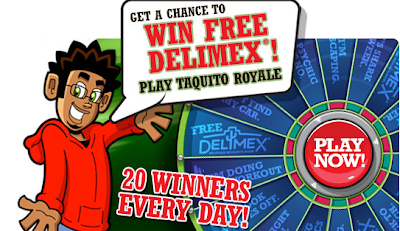 : 20 WINNERS EVERY DAY! I've never heard of Delimex before, and it sounds like a Pokemon. Also, the words "taquito" and "royale" should never be juxtaposed.